Corte, a new Long Island City-condo which is being developed by Planet Partners and CBSK Ironstate, has officially launches sales. Located at 21-30 44th Drive in Court Square, The 8-story Corte will offer 85 condominiums which start at $560,000 and range up to $3 million. MoMA PS1 has revealed their newest temporary exhibit, Hide & Seek, by Jennifer Newsom and Tom Carruthers of Dream The Combine. The interactive art exhibit features moveable mirrors spread throughout a courtyard that distort perspectives as guests move throughout the space. Simon Baron Development and Quadrum Global have announced that they will launch leasing in Spring 2018 of ALTA LIC, their new rental project in Long Island City which will offer both standard rentals and co-living opportunities. Co-Living units will be managed by Ollie, an "all-inclusive" management firm. 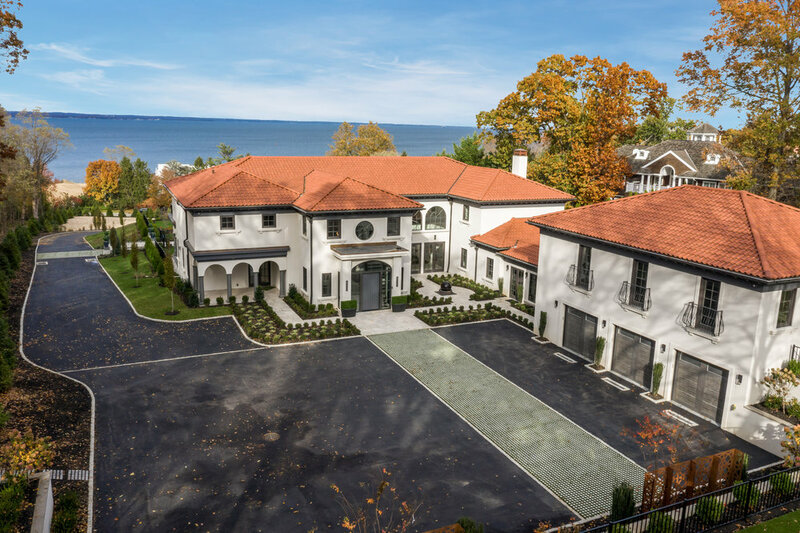 Long Island has a new mega-listing, Maison des Jardins, the elegant new construction French château which just hit the market market for $60 million. Maison des Jardins was designed by Michael J. Wallin and Douglas R. Schneider and constructed in the spirit of the Gilded Age of Long Island’s Gold Coast. Plaxall Realty is proposing to rezone 14.7 acres in the Anable Basin neighborhood of Long Island City to bring 5,000 residential units to the area. On December 14, 2017, the Department of City Planning will discuss the environmental effects of the proposed rezoning with Plaxall at a public meeting. Tishman Speyer has released new renderings of their new, massive rental project known as Jackson Park in Long Island City. The development will feature 1,800 rental apartments spread over 3 towers which rise 42, 44 and 53-stories designed Mack Scogin Merrill Elam Architects and Hill West Architects.